This site had been moved to new one due to ending of previous server-service. Please bookmark new website address. Old URL will be transferred to new one's Top-page automatically until end of September. December 7, 2018 was the first World Kamishibai Day! On this day we wish for peace on Earth as we share kamishibai together. 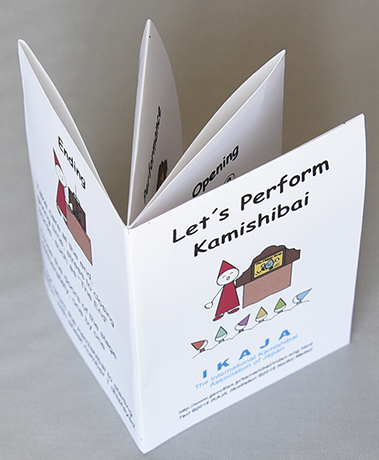 Join people who love kamishibai by performing it throughout Japan and the world! Let us spread the joy of kyokan, the sharing of feelings to live life together. There were 42 events at 19 countries and areas at December 7, 2018. Eiko Matsui talks about the culture of kamishibai and how kamishibai creates peace. 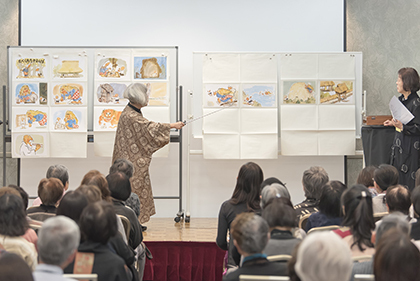 She also explains the unique format and the key features of kamishibai, which bring kyokan (shared feelings) to the audience and the performer, with assistance of the performance by Hina Nagase. If you would like to know more about Kamishibai, please see "What's Kamishibai"
English, Slovenian, French, Spanish, and German version are available. You can download this Mini-Booklet. Please see "How to Perform Kamishibai"
If you know more about the variety of kamishibai, please see "How to Perform Kamishibai"
Ten steering committee members of IKAJA visited Slovenia from 9th to 14th May 2018. It was to participate in International Symposium held at Slovenian Theatre Institute (SLOGI) in Ljubljana. IKAJA also performed kamishibai for children at local cities in Slovenia. 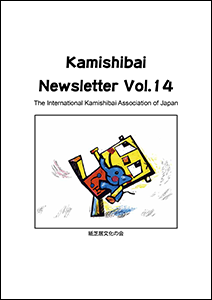 30,Mar,2019:Updated the information of Kamishibai Seminar in Tokyo, 2019 NEW!